While I do some fun and simple coloring….enjoy a little pep talk. Art is fun – let’s not get distracted with our oopses – or those of others! Watch the video below or click HERE to see it in HD on YouTube. SALE this week on all remaining United We Flourish sets! 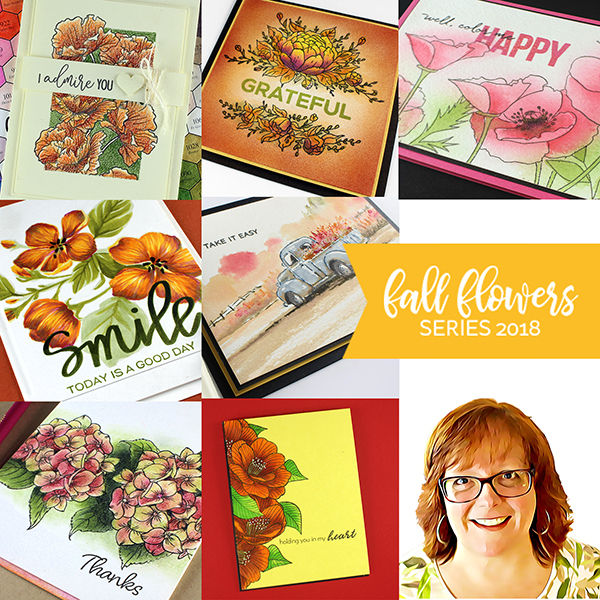 For each of the Poppy Fields stamp and die sets purchased with my affiliate link, I’ll be donating to The Dreaming Zebra Foundation – and I recommend making a donation of your own too! The Dreaming Zebra® Foundation is a 501(c)(3) nonprofit encouraging children to embrace their individuality, to express themselves creatively, and follow their artistic dreams. Your gifts help us provide art & music supplies to underprivileged children throughout the world! Beautiful coloring Sandy….mine never seems to be that smooth – LOl! TFS your techniques as well as your heart! Thank you!! ❤ I needed to hear this! Helpful comments that pick me to bits is the total reason why I don’t show a single bit of my work or sketch pad any more. My partner always says tell if they are so good then show is your work then ! But courage has gone, I know I’m not alone, leave people alone. Beautiful card and a worthwhile charity. I can’t believe some folks feel the need to critique the work of others. Negative trolls—ignore them. Sandy I loved your card but… I loved your pep talk evenmore! You are so right and I hope you don’t mind that I steel the next sentence from you ” Art isn’t about perfection, if we wanted perfection we just take photographs”. I rewind the video more than once to write this down, I have a quote notebook and will using the quotes some day on my art journal page or in a post on FB or my blog. I will refer to you for this quote. I am an perfectionist and it is hard to be imperfect in the cards I make, but step by step just as learning how to colour, I learn that my art doesn’t need to be perfect. So thank you very much for the encouraging to be not perfect! 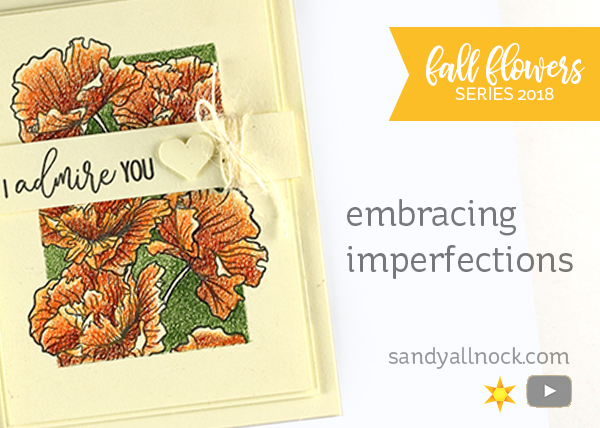 Sandy, thanks so much for your embrace the imperfections. Im forever thinking I have to start over but will try to relax and continue coloring. Sandy, the card is awesome! I love it! You are so inspiring and I love your work and watching your videos. I for one totally APPRECIATE your talents and all you share with us who are trying to better themselves in the art world.